In our previous post we focused on HTML editors and suggested some good solutions to easily create html emails. Today we would like to take a closer look at image editors. Images, graphics and other design elements can dramatically improve the look and feel of your emails and help to express your main message. 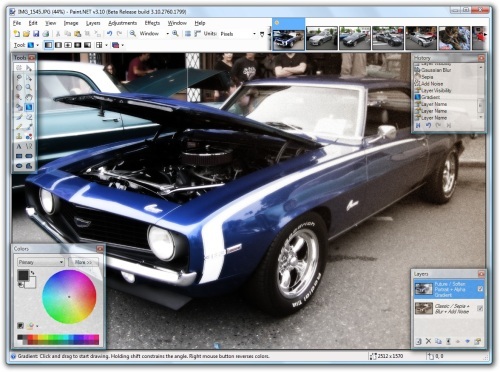 There’s not doubt that Adobe Photoshop is the most popular and powerful image editing software. Professional designers love it and tend to prefer it to other tools because it simply contains anything they need for their graphic projects, like advanced filters, plugins and extraordinary effects. Fortunately a number of free alternatives are available for users who cannot afford it (Photoshop CS5 costs $699) or simply prefer something more simple and easy to use. Let’s take a look at our selection of 6 free alternative image editors. 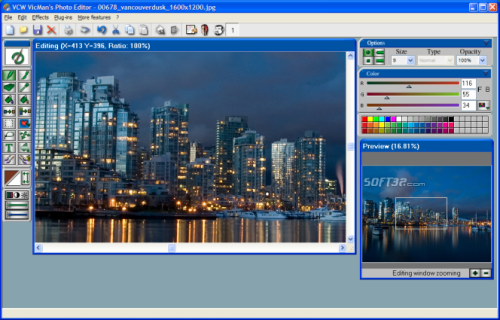 GIMP (“GNU image manipulation program”) is considered the open source answer to Adobe Photoshop since that it contains most of the functions included in Photoshop. 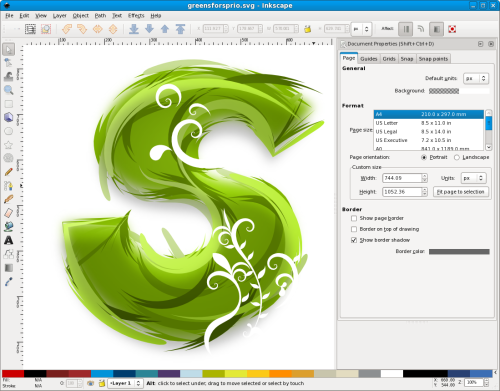 Inkscape is an Open Source vector graphics editor, with capabilities similar to Illustrator, CorelDraw, or Xara X. In ddition, it uses the W3C standard Scalable Vector Graphics (SVG) file format. Interface looks very simple and it comes with many useful tutorials you can practice as you read. 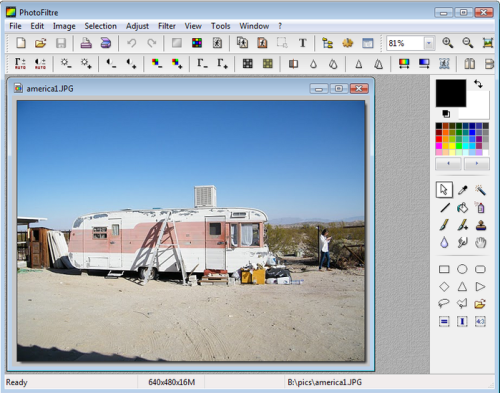 VicMan’s Photo Editor is a versatile image editor with an intuitive interface and a wide variety of features. It comes with a wide range of essential features for both novice users and professional designers. With VCW VicMan’s Photo Editor you can refine your digital photos, draw artwork naturally and effortlessly, producing great graphics. 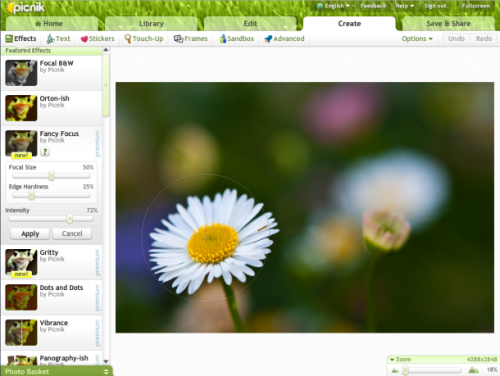 Picnik is a web based photo editor withs all the basic features plus a few advanced ones like layers and special effects. It’s very easy to use and there’s no registration at all to try it out. Photofiltre contains all the essential tools and options to edit and optimize pictures. It loads up very quickly and changes can be instantly previewed. Novice photographers or graphic designers can use it to cut their teeth on image editing before going on to more complex applications. 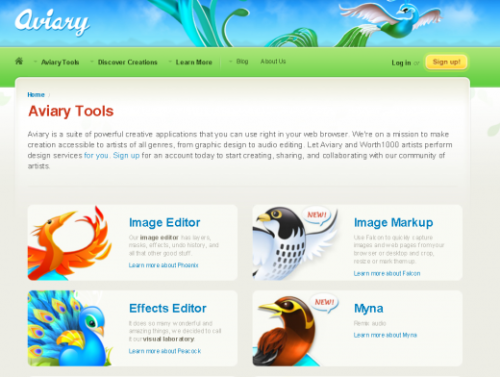 Aviary delivers all of the key features of desktop editors with the simplicity and accessibility of a web-based application. However, this application is best suited for users who already have some knowledge of digital image manipulation. 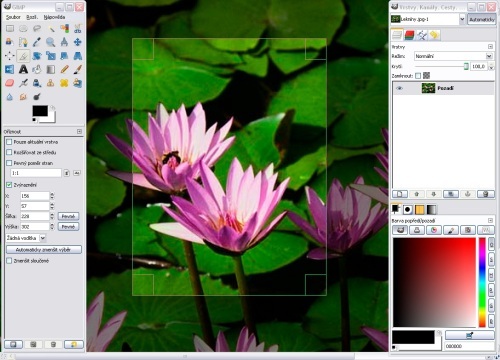 Today we would like to take a closer look at image editors. Images, graphics and other design elements can dramatically improve the look and feel.